Very cool original one-sheet (rolled version). 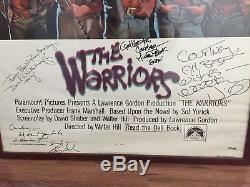 With signatures from Walter Hill (Director), Lawrence Gordon (Producer), and leads Michael Beck and Deborah Van Valkenburgh. No idea who that is. Note, this was part of a selection of posters hanging from the walls of a now defunct production co. 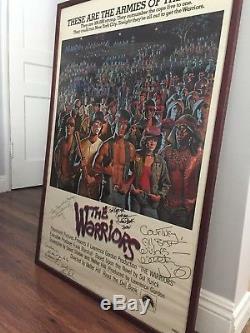 The item "The Warriors 1979 Original 1 Sheet Movie Poster. Signed" is in sale since Sunday, January 28, 2018. This item is in the category "Entertainment Memorabilia\Movie Memorabilia\Posters\Originals-United States\1970-79". The seller is "lisalisang" and is located in Los Angeles, California.